*This is book #2/30 for my 2016 book challenge. You can take a look at the reading challenge here. * Please note: This book has a publication date of February 26th, 2016. Mine is a tale of pain, hate, lies, murder, injustice, vengeance, and love unreturned. It began much like yours; a hopeful innocent born to a world of endless possibilities. But my journey has rarely been paved with opportunities of light. Confronted by those who sought to eclipse what light I had found, the darkness came for me. Wrapped in its intoxicating embrace, I have risen from the dead to reclaim my dignity and the life that was taken from me. I have begun my journey into the mind of revenge. Revenge for me. Revenge for those like me. Those who are shamed. This is quite easily the most twisted, down-right dark and fucked up novel I’ve ever had the pleasure of reading. No, seriously. From the very beginning I was shocked and kind of appalled by all of the things happening to Shame, an androgynous character that we never really learn the gender of (though it is heavily implied that Shame is a female, kind of at least). She’s bullied at school and then horrendously mutilated and left for dead by her classmates. When she comes out of a coma two years later she has metal formed to her bones and a thirst for revenge. 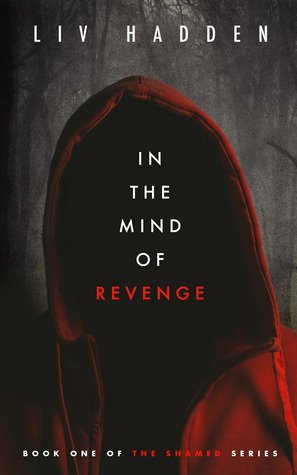 I cannot stress enough that In The Mind of Revenge is seriously fucked up and probably needs a trigger warning. There’s talk of serious body mutilation, vulgar language, murder, and gang related activity. With that said, it’s all of those things that made this book so great. As dark and depraved as it was as a story, it was also uniquely funny and the character was actually likable, despite the fact that they were responsible for several acts of brutality. The supporting characters were charming and added much needed levity to the most tense of times. You definitely need to suspend your disbelief when reading, but it’s a story that is definitely worth it. My favorite part, by far, was when Shame gets high and is obsessed with flour. My only issue was that the characters all kind of spoke the same way. I feel like the dialogue didn’t differentiate between characters. That really is my only problem though, and it’s quite minor when compared to how well the story was played out. The ending was not at all what I was expecting, and I’m really looking forward to reading the sequel! PLEASE NOTE: I received a free copy of this book from the author via Roger Charlie in exchange for an honest review. All opinions held within this review are my own thoughts and feelings and do not reflect upon anyone else. Thank you for your review! I appreciate your note at the end about the characters and the dialogue; I’ll take that into account as I’m writing book 2! If you’re willing, I’d love to get a specific example so I can be as pointed as possible about growing my writing. I agree on the trigger warning; they should have those parental advisory stickers for books :). Hi Liv! You are so welcome, I can’t wait for the sequel! 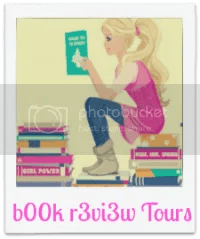 Please keep me in mind for any future book tours should you participate in one!